Seasonal special offers and events. 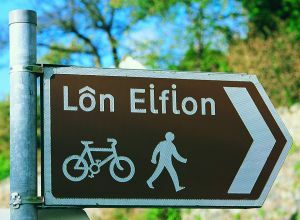 We are Ideal for Walking Holidays in Snowdonia and the Perfect Cycling Holiday Accommodation in Wales - with Y Lon Goed walk on our doorstep. CRICCIETH is a pleasant, unspoilt seaside town and is ideal for year round holidays, and enjoys very mild climate of the Gulf Stream. Our Winters are mild and Spring and early Summer are very warm, providing an excellent time for early and off-season short breaks. In 2006 Criccieth beach won The Blue Flag Award and The Seaside Award for the high standard of cleanliness, facilities and water qualities. 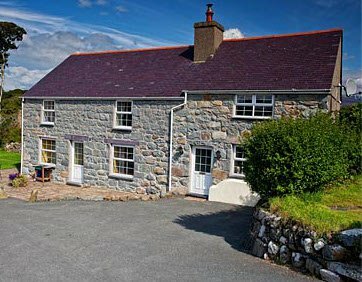 Two and a half mile away from Rhos Cottages there is The Goat Inn which serve excellent meals and also an Indian Restaurant. At Criccieth, 4 ½ miles away there is a vast choice of restaurants: poachersrestaurant.co.uk ; www.themoelwyn.co.uk ; bistros and cafés with most being open all year. At Porthmadog there are ALDI, LIDL and TESCO stores; at Pwllheli an ASDA and at Caernafron a MORRISONS as well as a good choice of small family run butchers and traditional bakeries at Criccieth. 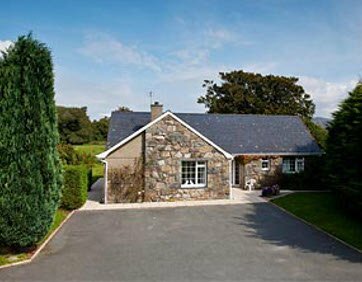 Criccieth Golf Course is a mile north of the town and has unrivalled views of the Cardigan Bay and the mountains beyond. Criccieth Castle dating from the reign of Llywelyn the Great (1200 – 1240) stands on a hill above the sea overlooking the bay towards Harlech. At the entrance to the Castle there is an exhibition entitled ‘Castles of the Welsh Princes’. 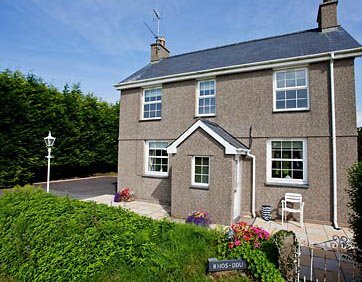 LLANYSTUMDWY is 21/2 miles away and is renownd as the “Lloyd George” village where you’ll find a Museum on the history and life of this great man. 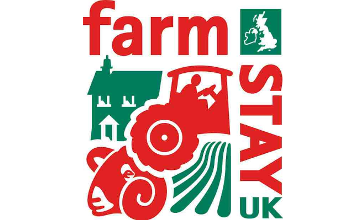 Here also is the BEAR GRYLLS Survival Academy and PAINT BALL ACTIVITY Park; the DWYFACH Rabbit Farm for toddlers and young children to pet and feed animals and around 7 miles away near to Y FFOR is the GLASFRYN PARC ACTIVITY & BOWLING CENTRE which offers a great family day out. 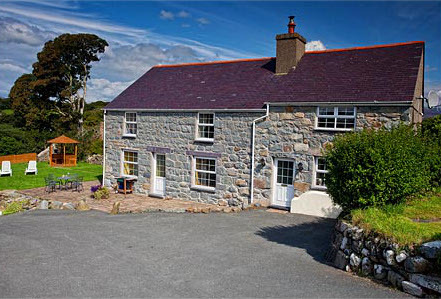 We are ideally located to allow you to explore the Llyn Peninsula and Snowdonia. 9 miles PORTHMADOG where you’ll find the Ffestiniog and the Welsh Highland Railway Stations, an interesting Maritime Museum, a Motor Museum and Snowdon Pottery where children enjoy trying their hands at throwing a pot. 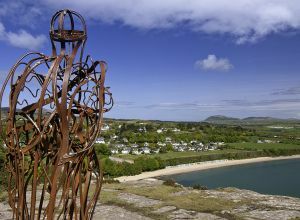 Nearby is the well known Black Rock Sands - a 2 mile long sandy beach situated at Morfa Bychan, 2 miles from Porthmadog. It is one of the few locations where you can take your car on to the beach. 12 miles PORTMEIRION the lovely Italiane Village which is where “The Prisoner” was filmed. Also Portmeirion Pottery is well known througout the world. 16 miles HARLECH with its clifftop medieval Castle, a World Heritage Site. Royal St. David’s Golf Course and miles of sandy beach. Nearby is Shell Island named for the variety of its shells. 25 miles BARMOUTH a traditional seaside resort with promanade and small fairground. 13 miles CAERNARFON with its mighty Castle, built in the 13th centuy by Edward 1; and was where the Investiture of the Prince of Wales took place in 1969. 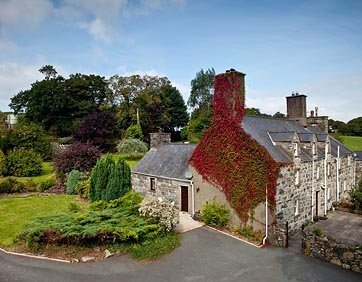 Near to Caernarfon you’ll find Greenwood Forest Park and Gypsy Wood. 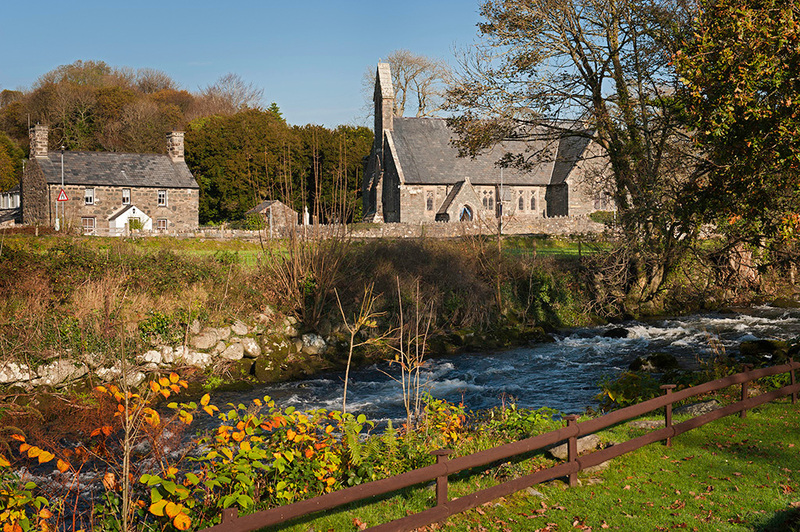 13 miles BEDDGELERT known as “The Alpine Village of Wales” where you can walk through the lovely Aberglaslyn Pass, take a guided tour around the Sygun Copper Mine, and visit Gelert’s Grave - the legend of faithful hound of Prince Llywelyn. 19 miles PORTH NEIGWL (Hell’s Mouth) miles of south-west facing, almost deserted sandy beach with some of the best surf in Wales. 18 miles ABERSOCH a sailing centre with harbour and fine beaches. 28 miles BETHESDA, Bangor where you’ll find ZIP WORLD Velocity – Europe’s longes zip wire accross a quarry in the hills. 30 miles BETWS Y COED and Swallow Falls. Many interesting shops at Betws y Coed. Here you’ll find Tree Top Adventure. 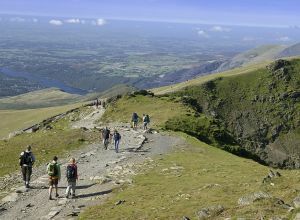 15 miles LLANBERIS village which is in a superb lakeside location, and is a popular centre for walkers and climbers at the foot of mount SNOWDON , from where starts the Snowdon Mountain Railway, and Padarn Lake Railway. Here also is National Slate Museum, the Hydro Electric Mountain and Dolbadarn Castle. Please call us on 01758 720047 or 0776 986 4642.